Get your grading done automatically. 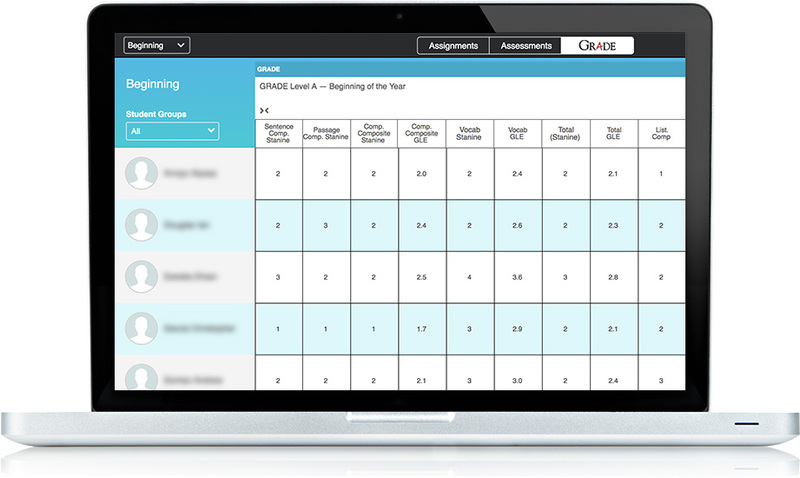 In addition to the GRADE™ diagnostic evaluation, iLit automatically monitors student progress (individual, small group or the whole class), provides instant feedback to improve student skills, and scores responses. Get a real-time look at reading comprehension, reading growth, words read, grammar, vocabulary, and writing performance. Monitor ongoing progress to make sure students are making growth and pinpoint learning gaps. 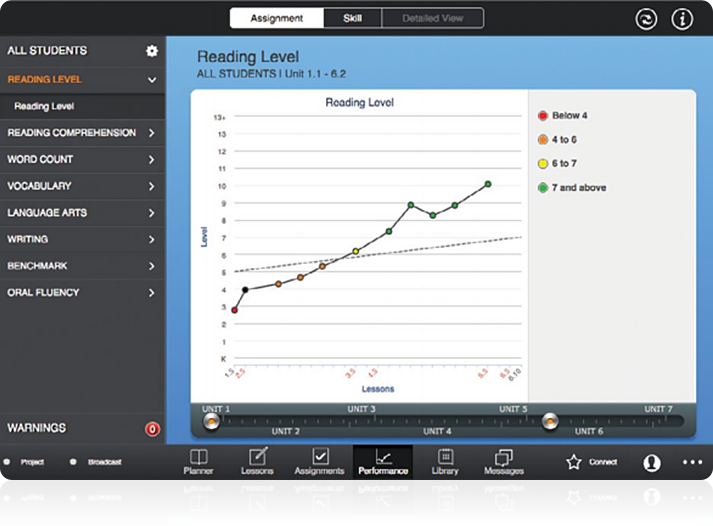 iLit is a smart assessment system that saves you time from grading and tracking data. It does the work for you, so you can put your energy into teaching. Identifies Skill Gaps, Alerts You When a Student Needs More Help. 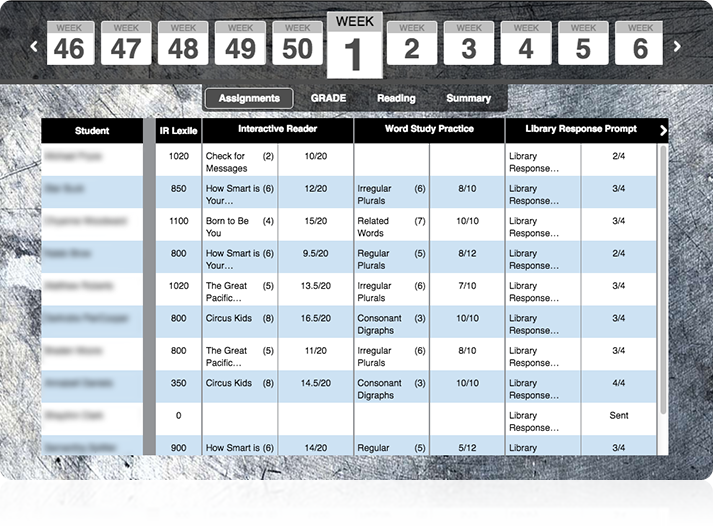 Track reading growth over the full year, or a subset of scores to identify how your class did in a unit. Drill down into individual skills like reading comprehension, vocabulary, writing, spelling, and grammar to target gaps. 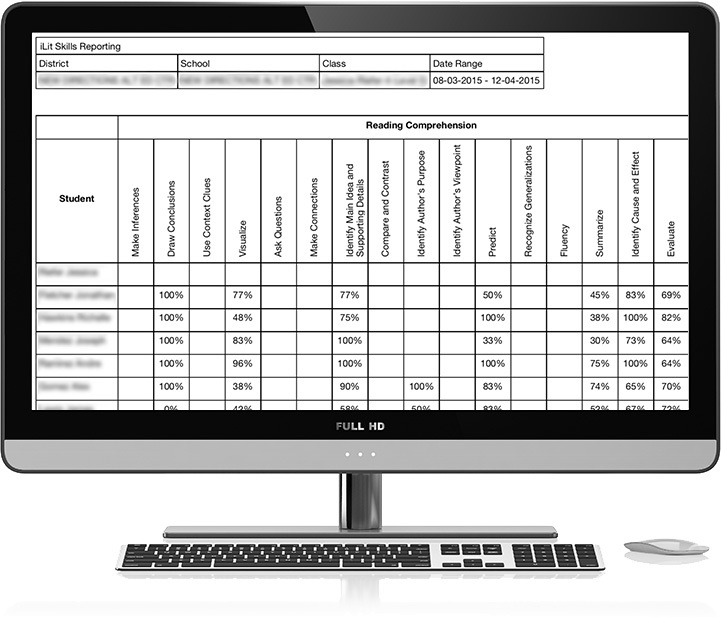 Break down individual student performance in all domains on all assignments. Create better small groups. GRADE™ is a diagnostic assessment embedded in iLit. Use it three times a year to identify students’ reading level, strengths and weaknesses, and reading growth over time. iLit is a smart solution for delivering evidence-based school improvement. 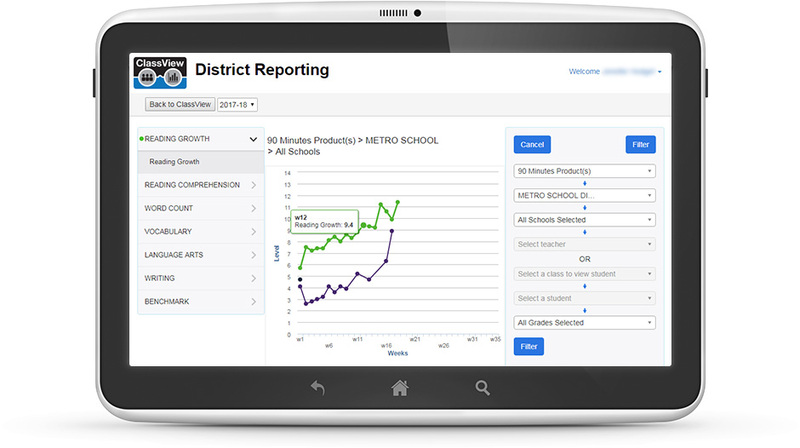 Administrators can easily access district, school, and student data to allocate resources and federal funding. Why is iLit a smart system? Simple. It automatically captures critical performance data in real time, so you know where students need additional remediation or enrichment. iLit data snapshots make student feedback and teacher-parent conferences more effective and meaningful. 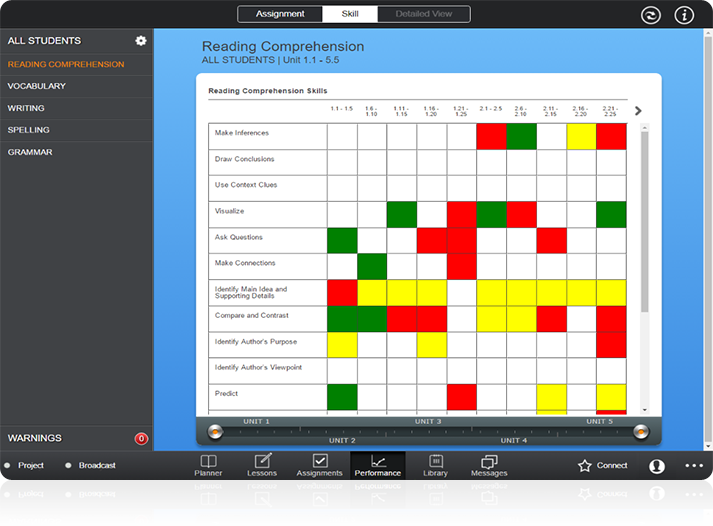 Share reading growth with a single dashboard, discuss learning opportunities and goals.